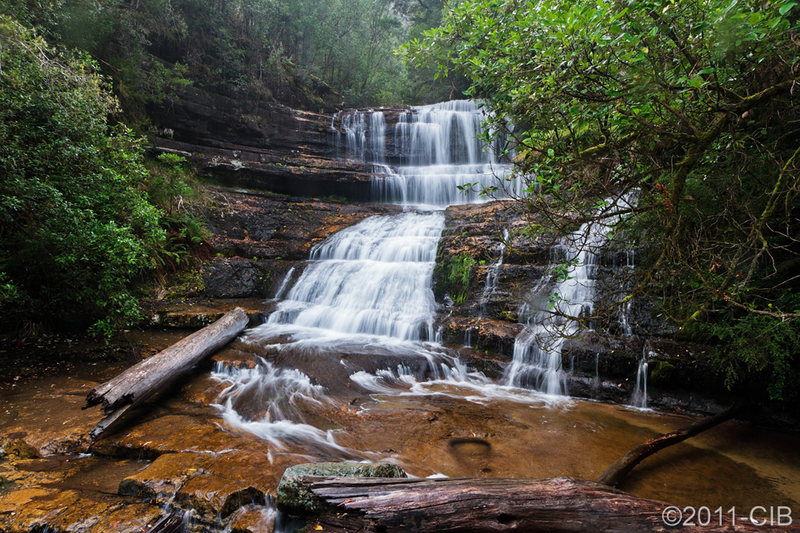 Tasmania is truly a photography paradise. 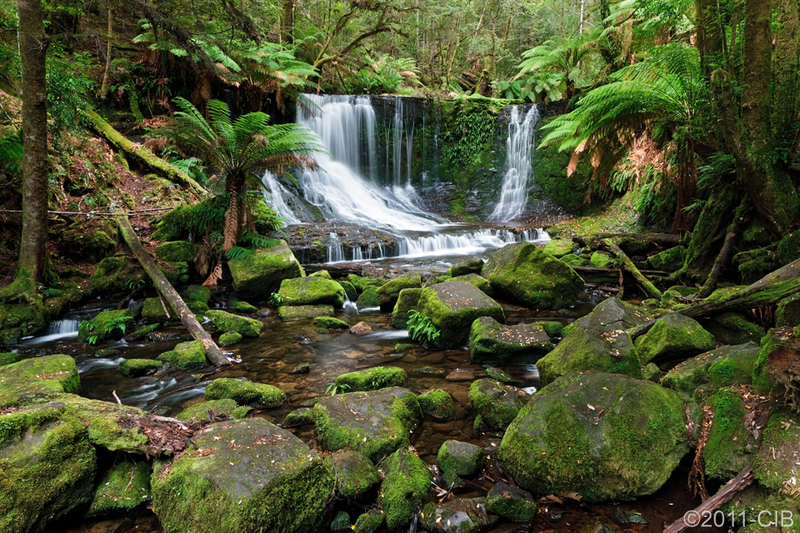 The Mount Field National Park offers endless opportunities with amazing greenery and breathtaking waterfalls. 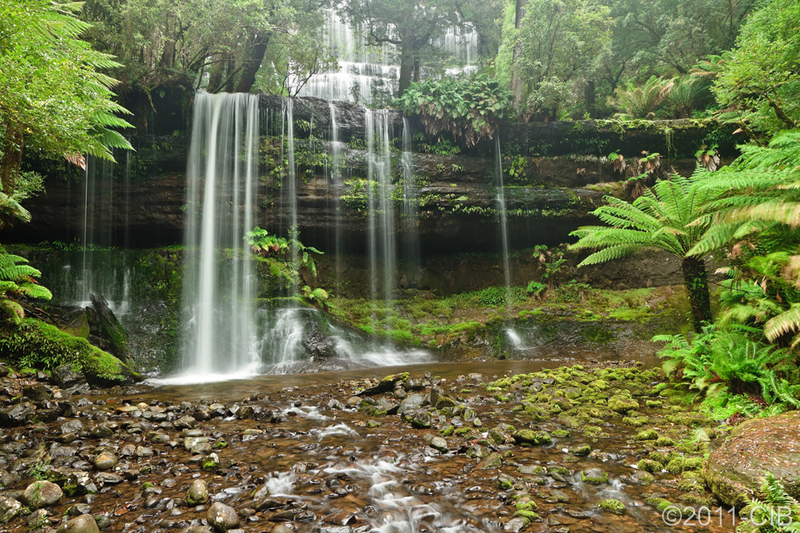 Here a few examples, starting with the iconic Russell Falls. An exposure of 0.5 to 1.0 seconds, like those shown here, makes the falling water silky smooth, strengthening the sense of movement. In plain daylight, however, such exposures would clearly result in a totally blown-out image. A neutral density (ND) filter can be used to diminish the light getting into the camera and so allow longer exposures in bright natural light. The Vari-N-Duo from Singh-Ray combines a neutral density filter adjustable from 2 to 8 f/ stops and a warming/polarizer in a compact and convenient design. The desired amount of density can be dialed to achieve a proper exposure. The combined warming/polarizer reduces glare from sky, water, wet rocks, and other reflective surfaces and enhances color saturation for added drama. Polarization can be easily controlled by rotating the ring just behind the min/max ND ring. A sturdy tripod is a must, obviously. Great shots! You would never have known it was overcast and raining when you took those photos. Looking forward to part 2…….